The Department of Labor, Invalid and Social Affairs in the central city of Da Nang yesterday said that in the upcoming Tet Holiday (the Lunar New Year), it allocated VND44 billion (US$1.8 million) for granting over 90,000 social welfare brackets. As per the city’s plan’s, passed-away or sick senior revolutionary persons , families of political prisoners who were sentenced to death by the Republic of Vietnam before 1975 and typical social welfare families will receive VND2,5 million per person. The city will hand out VND1,4 million to social welfare beneficiaries who are enjoying monthly allowance including exceptionally impoverished social welfare families, those who were serving in the pre-uprising, Vietnamese Heroic Mothers, Hero of the people's armed forces and Labor Heroic, wounded soldiers, those who took part in the revolution and infected with toxic chemicals. Those who supported soldiers in the war-time and their relatives will be given VND550,000 to VND1,750, 000 per person. 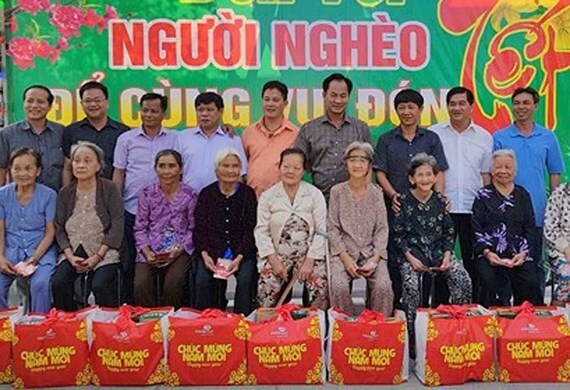 On this occasion, Da Nang authority will visit social houses in the city and Quang Nam Province to hand out gifts worth VND3 million to VND5 million a household. In addition to, low-income families still working will receive financial support of VND600,000 each household whereas destitute households without working will be given VND1 million; demobilized soldiers with mental health or untreatable diseases will be presented VND300,000 person. Moreover, hard laborers and scrap pickers will also receive VND500,000 per person.